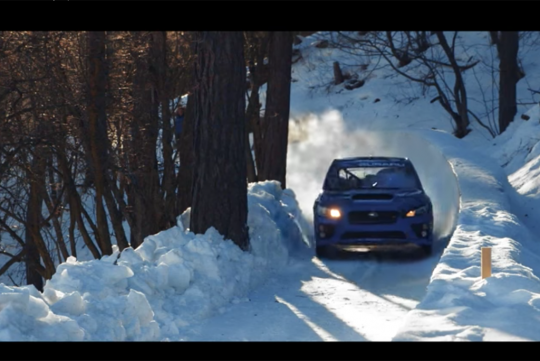 We aren't sure why Subaru would want professional rally driver, Mark Higgins to drive a Subaru WRX STI down an olympic bobsled in St Moritz, Switzerland. But it sure does look cool. Shot after the yearly Olympic Bobrun event, Subaru somehow managed to convince the organisers to let them have a go at the track before the ice becomes too soft for use. Using the same car Higgins used in 2014 to set a lap record at the Isle of Man, Prodrive assisted in prepping the car up for the stunt. Modifications include a full safety cage, stiffer springs and shocks and tyres with 400 individual tungsten lugs apiece to claw the ice. More importantly, the car was given additional strengthening that run around the car's lower perimeter to help it brace against the bodywork at all four corners. Watch and see whether the car survives the run! It is cool. Unfortunately, many stock car drivers dont realised that these car used are specially equipped to ensure maximum safety such as cage and etc.